We pride ourselves on providing fun & safe riding experiences for the whole family. What is the weight limit for Horseback Trail Riding? What is the minimum age, height, and experience level required for Horseback Trail Riding? The minimum age for Trail Riders is 10. Legacy Riding Stables may require a series of Riding Lessons for youths before Trail Riding. Legacy Riding Stables may recommend other Riding Services for youths. Are reservations required for "Horseback Trail Riding" or the "Lesson / Trail Ride Package Experience"? Reservations ARE NOT required on the WEEKENDS for Trail Rides or the Lesson / Trail Package. If you have a group larger than 6 or would like to request a PRIVATE ride, please call or email. When are Horseback Trail Rides available? Are you open in all weather conditions? Legacy Riding Stables is open ALL YEAR for all riding serices. Reservations are not needed on the weekends. Please call / email to schedule week day rides. Are "Private" rides an option? I would like to have a romantic and fun date with my signifigant other. Can we this be set up? All Riding Services can be scheduled as PRIVATE RIDES. When booked as a PRIVATE RIDE only members of your party and your trail guide / riding instructor will be joining you on the trail. Please call / email to set up a PRIVATE RIDE. For dates we suggest our Lesson / Trail Ride Package. Horseback Riding is an outdoor activity. Long pants such as jeans are your best option. Closed toe shoes such as work boots or sneakers are appropriate. Legacy Riding Stables will happily lend you a Riding Helmet at no extra charge. Are the Trails Guided? Can I ride with out a Guide? All Trail Rides are Guided. Our Guides are very knowleable of the trails and the horses. They are there to help you. Guests can not Trail Ride with out a Trail Guide. Should I tip my Trail Guide? YES. If you enjoyed your ride, tip your guide. Our Trail Guides are all Trained Volunteers who are there to assist you. They greatly appreciate tips. How fast to the horses go? Can I make my horse run? The speed of the trail is set for the safety of the riders and the horses. Trails are typically walk / jog. Only want to walk? Just say so. We will be happy to accommodate you. The pace of you Trail Ride will be set to the skills of the most Novice rider on the Trail Ride. If the Trail Guide feels every rider is capable and willing a more aggressive ride may be possible. Consider a Private Ride to ensure the minimal skill level in your group. 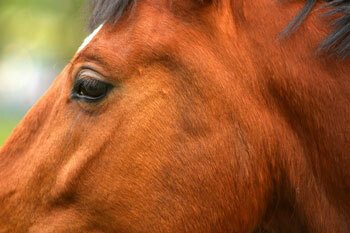 Do you ride English or Western at Legacy Riding Stables? For our Trail Rides we keep it WESTERN. Nothing like the good old cowboy way! We want to come Riding with the WHOLE family, including the little kids. How does that work? The minimum riding age for youths is 10. We may require a ring ride or lesson for some youths. We have hand-led Pony Rides for the little guys. Make sure you bring an extra adult with your group to watch the kids while everyone else is on the Trail Ride.